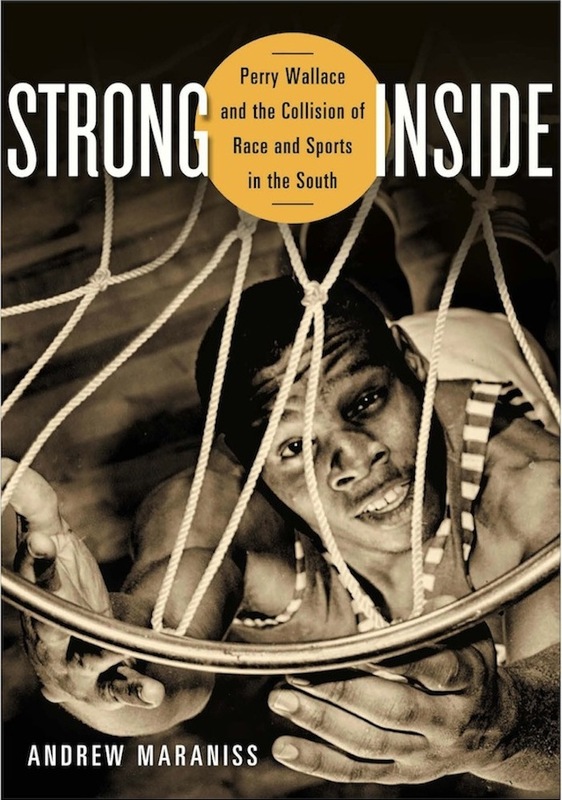 I just finished a fascinating book by Andrew Maraniss called Inside Strong: Perry Wallace and the Collosion of Race and Sports in the South. 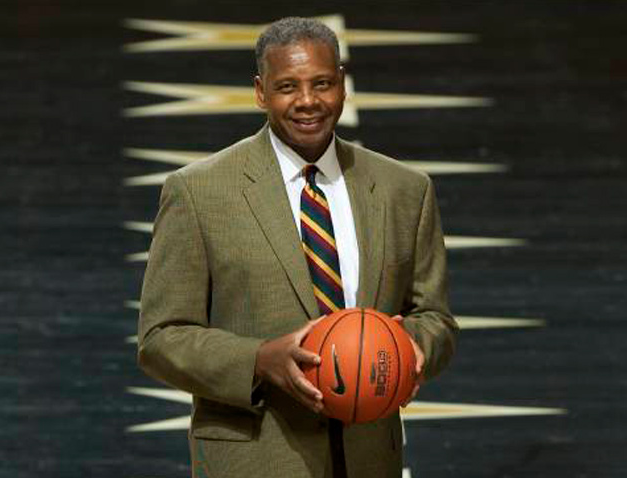 Wallace played for Vanderbilt University in the 60’s and was the first black player in the SEC. The book tells the story of Wallace’s life and what it was like to be a civil rights pioneer in the country’s last major conference to integrate. The stories of his first trips into the Deep South go as expected. Places like Starksville and Oxford were hell (emotionally and physically). But it was the racism he endured at Vanderbilt that caught my attention. Vanderbilt was considered a progressive school with, presumably, more openness to diversity. Thus, the racism he experienced was less apparent. It was nicer (if there is such a thing). Administrators and students felt like they were accepting and tolerant simply because a black basketball player was enrolled at their university, yet they continued to be racist in ways they didn’t realize. The author describes how this nicer (more subtle) form of racism eventually left deeper wounds than the more overt racism of schools from Mississippi and Alabama. Wallace himself boldly described it in a speech he gave to the white faculty and administrators at Vanderbilt in 1968. By then, he had been a student there for two years and had mostly done what was expected of him. He kept his head down, stayed out of trouble and did his best not to stir up any protests or unrest at Vanderbilt. He felt like he had to be careful and watch his step. Part of it was his quiet, unassuming nature and part of it was lessons learned growing up in the segregated South. Blacks could pay a heavy price for speaking out against, or even politely questioning, racial injustice. His trips to small-town SEC schools were literally life-or-death trips. Although he was allowed to play on the court, he couldn’t go out for a burger with his teammates after the game or react in any way to the numerous uncalled fouls and persistent verbal abuse rained down from the stands. Vanderbilt was supposed to be different. Administrators were pushing coaches to recruit more black athletes and the city of Nashville had long considered itself more progressive in terms of race relations. Yet, racism still existed. In the sideways glances, the refusal to fully include blacks students in university life, the polite suggestions from white teachers or clergy that blacks might be more comfortable with their own people. And, particularly hurtful for Wallace, the lack of understanding from his white teammates of what it was like to play basketball under a relentless barrage of verbal attacks. In other words, racism still existed at Vanderbilt it was just nicer and more subtle. But nice racism is still racism. White students felt like they had done their part to bring racial equality to the South simply by attending a Southern university that also accepted blacks. The same way some white students today feel like they’ve done their part for racial justice by adding hashtags to their Twitter protests. Acceptance is deeper than that. I’m slowly starting to figure that out. 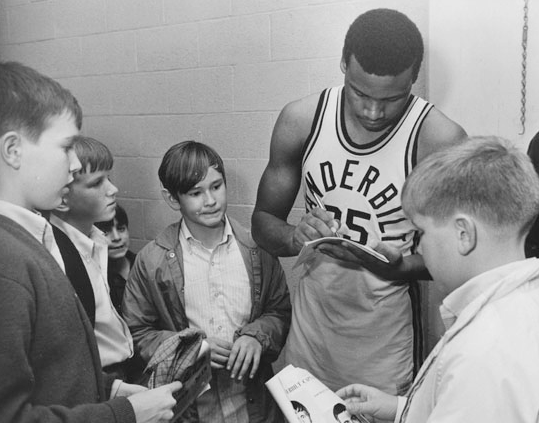 Reading about Wallace’s days at Vanderbilt in the 60’s reminded me of my days at LCHS in the 80’s. Integration wasn’t even a question then but were we truly integrated? Racism certainly didn’t exist to the level it did a few decades earlier but can I say that didn’t exist? I can’t. Racism still existed in my high school days it just took on a nicer form. There were no instances of overt verbal abuse, but there were still jokes and stereotypes. I regret listening to (and sometimes telling) those jokes. I regret smiling and nodding at the off-handed comments about racial stereotypes. I regret not speaking up at the more offensive stuff because I figured it wasn’t worth the conflict. Don’t get me wrong. I wasn’t a racist by any stretch. But like a lot of white kids growing up shortly after the Civil Rights era, I did tolerate more than I should have tolerated. Not because I was being cruel or mean-spirited. I was just being nice. And, being nice, I would often smile and nod rather than speak up and confront. Like the Witch from “Into the Woods” says when chastising others for not doing the right thing. It’s not a compliment. I’m sure there were plenty of nice students at Vanderbilt in Wallace’s day. People that spoke to him in the hallways, cheered for him on the basketball court and generally accepted his presence on campus. But some of those same people refused to step into his dorm room and easily accepted the fact that Wallace couldn’t join their fraternity or attend their church. They never questioned the status quo or wondered how it affected a black student at a nearly all-white university. Of course, many did eventually speak up and change slowly began to occur. It is still occurring and we can still be a part of it. Like Vanderbilt students in the 60’s, I’m sure many of us today see ourselves as open-minded and progressive when it comes to issues of race, but are we? Are we willing to speak up against the more subtle forms of racism? Are we willing to move past being nice and move towards being right? Some of Wallace’s former teammates eventually sought him out to seek forgiveness and share their stories of how they overcame past biases and assumptions. He graciously listened and extended the hand of friendship. May we do the same as we seek to end all forms of racism in America, even (or especially) its nicer forms.